Sigma 6 Technologies is an R2 certified full-service IT Asset Disposition company. Trusted by organizations of all sizes across the United States, our services are designed to eliminate as much of the work associated with reselling and recycling used and outdated technology equipment. 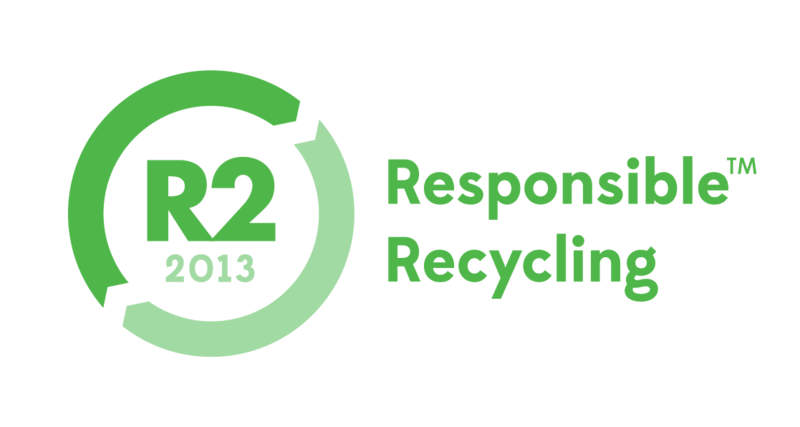 We are proud to have earned industry certifications for R2 “Responsible Recycling”, ISO 14001 and OHSAS 18001. Our facility is monitored 24 hours a day by a network of sensors and video cameras. All equipment that enters our facility is sanitized of data. If data cannot be accessed, the hard drive or device is destroyed. Our data wiping process meets NIST 800-88, DOD 5220.22-m and HIPAA standards and guidelines. Data wiping effectiveness and results are verified by an independent third party. We carry a full range of insurance which cover all of our processes to protect our clients in every phase of the IT asset disposition process. R2 certification means that we meet EPA, federal and state laws and regulations when recycling end-of-life electronic equipment. The prevention of pollution and protection of biodiversity and ecosystems through responsible recycling. To the prevention of injury and ill health. To comply with applicable legal and other requirements relative to the environmental and health and safety aspects of our business and fulfill its compliance obligations. To providing a framework for setting and reviewing environmental, health and safety objectives and targets. To managing used and end of life electronic equipment based on a reuse, refurbishment, recovery, disposal hierarchy including onsite and downstream materials management throughout the recycling chain. To managing Focus Materials throughout the recycling chain to final disposition with due diligence to protect our environment. To continuous improvement achieved through monitoring of objectives and targets and rigorous evaluation of our management system. To communicating and reinforcing this policy throughout our company, to all persons working for or on behalf of the organization as well as, to our customers, our suppliers and other interested parties. Sigma 6 Technologies audits our downstream partners to ensure they share the same stringent policies and safeguards to protect our environment. We track all end-of-life equipment downstream it its final destination and none of the equipment that we designate for recycling will ever find its way to a landfill or be sent to undeveloped countries. Eliminate or minimize risks to personnel and other interested parties who could be exposed to OH&S hazards associated with its activities. Demonstrate conformity with this OHSAS Standard by seeking certification/registration of its OH&S management system by an external organization. Our commitment to our clients means that we provide services rooted in industry accepted best practices that are designed to effectively sanitize all equipment of data. We protect the environment by utilizing a stringent hierarchy or reuse including refurbishment and recovery to minimize the environmental impact of end-of-life equipment recycling. We protect our clients with a full range of insurance that covers all of our processes. We offer even more value to our customers by providing white glove, take-out, and on-site packing services, and by providing packing materials and shipping services, all at no charge to our clients. Sigma 6 Technologies is a full-service IT asset disposition company that has earned certifications for R2 “Responsible Recycling”, ISO 14001 and OHSAS 18001. Through these voluntary certifications we provide solutions for the responsible and effective management and data destruction of our client’s reusable, re-marketable and end-of-life electronic assets. We have committed ourselves to being environmentally compliant through comprehensive Environmental Health and Safety policies in a manner protecting the environment, worker health and safety, our clients and our community. With a national footprint, we are trusted by organizations of all sizes across the United States to reliably manage the resale of high-value assets, sanitize sensitive data and company information, and track obsolete end-of-life equipment downstream to its final destination. Our clients include Fortune 500 corporations, government agencies, educational intuitions, including public school districts to small corporations. Fields of Service include: Financial, Healthcare, Retail and Entertainment industries. We process all types of technology equipment, from entire data centers to networking and point-of-sales, including cell phones, iPads and Chromebooks. Sigma 6 Technologies provides strategic mobile buy back services to corporations with fleets cell phones, tablets, and all Microsoft Surface models. We also work with Business Account Managers of all Tier 1 Wireless Carrier’s to provide a full suite of services designed to reduce and streamline the workload associated with recycling mobile assets, while returning significant value to help offset the cost of upgrades. We strictly adhere to and follow the most stringent guidelines for data sanitation, NIST 800-88. Our process also meets all HIPAA and DOD 5220.22-M standards. If for any reason, data cannot be accessed prior to performing data sanitization, we physically destroy the hard drive or device. All end-of-life equipment processed by Sigma 6 Technologies is tracked downstream to its final destination. Our downstream partners share our dedication to protecting the environment and follow the same stringent guidelines. We meet all EPA, federal and state regulations and laws.